The use of lithium-ion batteries increases and the capacity of the batteries keep getting better. More and more vehicles on the roads are electric or hybrid vehicles and a large-scale conversion to electric buses has just begun around Europe. There are some concerns regarding the handling of accident-impaired electric vehicles. Therefore, big resources are being invested in the security of hybrid, charge-hybrid and electric vehicles with lithium-ion batteries. As a result of this, Dafo Brand has got a development project granted by Horizon 2020 – EU’s largest framework program for research and innovation. “This project means that we will develop a combined monitoring and extinguishing system for lithium-ion batteries in electric and hybrid vehicles. 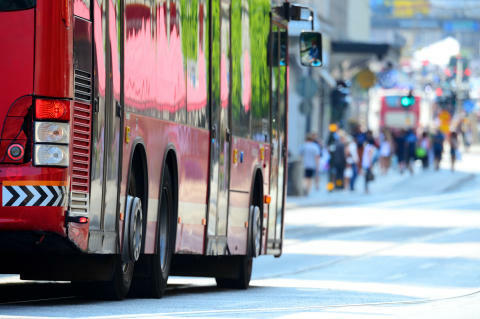 The big increase in electric vehicles, not least in public transport, makes this a very important and exciting mission”, says Johan Balstad, Vehicle Fire Protection Manager at Dafo Brand AB, Sweden. Dafo is a pioneer in Vehicle Fire Suppression with more than 100 000 sold systems for both military and civil customers in more than 30 countries worldwide. Knowhow and experience ensures our customers the latest technology combined with proven reliability. Our close cooperation with major vehicle manufacturers offers unsurpassed integration, performance and logistics. Our Forrex system, which combines the features of liquid and dry chemical with all the benefits but none of the drawbacks, are developed “in house” and includes unique and patented solutions where quality is ensured throughout the production chain. Unlike other agents, Forrex is tailor made for Vehicle Protection and offers outstanding flame knock down and unique protection against re-ignition. Prior to publication, it must be approved by Dafo Vehicle.